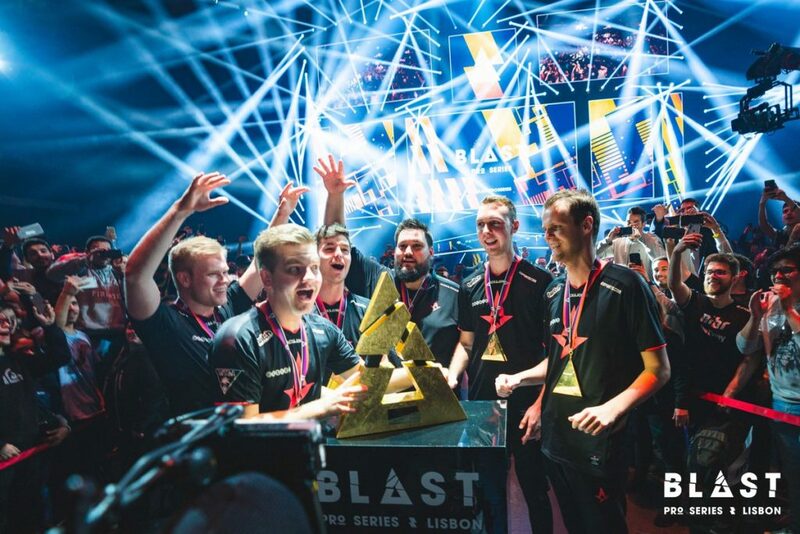 Astralis are champions once again in the international CS:GO scene, and this time around, their tournament win comes at BLAST Pro Series Lisbon. The Danish side breezed through the $250,000 event, defeating FaZe, Cloud9, Ninjas in Pyjamas, and MIBR in the process. Astralis went 5-0 in the round robin group stage matches, which put them up against Natus Vincere in the grand finals of the two-day event. In the grand finals, Na’Vi only stole map one Overpass (16-7) from Astralis, thanks to a strong T side that put them ahead early on. The latter two maps of the series—Cache (16-9) and Dust 2 (16-4) saw Na’Vi fight hard to fend off the Danish aggression on all fronts. But in the end, Astralis quelled their heroic efforts. Every single Dane popped off with clutches and multikills, and surprisingly, Emil “Magisk” Reif had a relatively quiet series. Astralis’ championship win at Blast Pro Series Lisbon undoubtedly solidifies them as the best CS:GO team in the world in 2018. It was their 10th successful title run of the year, after they won EPL Season Eight, DreamHack Masters Marseille, the EPL Season Seven Finals, the ECS Season Five Finals, the 2018 ELEAGUE CS:GO Premier, the FACEIT London Major, BLAST Pro Series Copenhagen, IEM Chicago, and recently, the ECS Season Six Finals. Are Astralis the greatest of all time? That conversation will be addressed next year, and especially at the upcoming IEM Katowice Major, where Astralis will be the defending Valve Major champions.